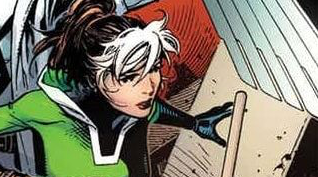 * this isn't a criticism of the creative talent involved, which seems super-solid, and I'm at a moon's remove from reading or knowing what goes into successful X-Men comics, but: these relaunched X-Men titles look enough like the last few rounds of X-Men relaunches I would fail a quiz on which one is which. The first two announced titles at least had some separation of characters; this seems like another overlap strategy will be in place where the popular characters are smeared like cream cheese across multiple titles with multiple narratives. It's an interesting creative conundrum, getting life out of these late-period properties. Kitty Pryde is nearly as old a character as Superman was when Kitty Pryde showed up. You just can't toss that much IP and do a real reboot, like picking new Professor X and Magneto equivalents and giving them a blank slate from which to recruit/ply their philosophies. Another factor in play is that property collectively has multiple nostalgic high points. Still, I assume they'll continue to try and some pretty good superhero stories will come out of it every now and then. If someone ever solves how to find a third gear for characters on a reliable basis, they'll have a lifelong career in the funnybook world. * someone made the joke that this article about single-issue publications going away is like a time-traveling escapee from the Warren Ellis Forum circa 1999, but it doesn't mean this isn't fun stuff on which to muse. It's hard for publishing companies to move away from profitable models, and that's still for the most part a profitable model. The ones for whom it isn't profitable have already moved away. It's hard to pin a direction on these things when all sorts of other publishing moves can be credited with the nature of the status quo. It isn't always structural. It's also probably wrong to assume that companies have the same strategies concerning profit. * I have two standalone posts yet to do this month in this category: the next D+Q fully-announced season, and Image at ECCC. You can jump ahead and check it out, I won't be angry. If you read any other site, you likely already have. * finally: if you want the best, most exciting place to be for late spring/early summer launches you either never knew about or learned of their existence and then forgot, it's the TCAF tumblr.